Lucky me, there are also a couple of fun challenges up so I thought I'd combine my birthday card making with these challenges! What a cheerful bunch of balloons! Great choice of set for these bright colours. Lovely card. Love, love, love! Thanks for playing along with WWYS this week. I love, love your bright and happy balloons! That "Happy Birthday" placement above the balloons is just perfect too!! 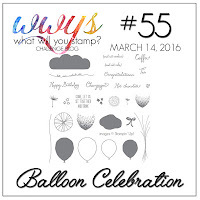 Thanks for joining us at What Will You Stamp this week! Love the 2 challenges combined!! Awesome card! Thanks so much for joining us at WWYS!! What a fantastic card Tina! 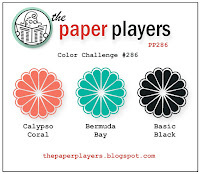 I love the color combo you used! Thanks for playing along with us this week at WWWYS! Great card Tina! I love the combination of challenges! Your balloon bouquet is so bright and cheery! The added sequins are fun! great birtdhay card! Glad you joined us at the Paper Players! Good for you, stocking up on birthday cards...I hope you have lots to send out! 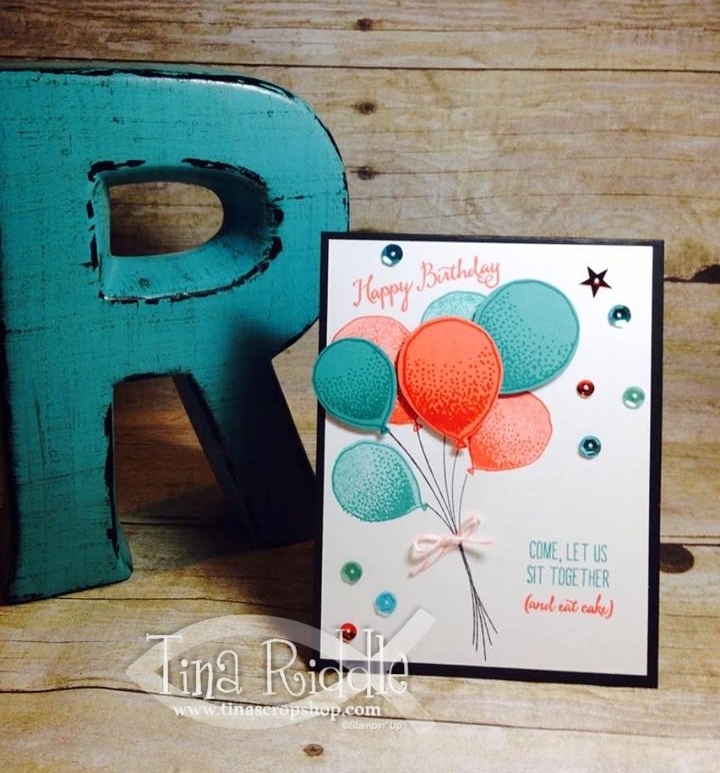 Love your take on our colors, this is certainly a happy card and someone will love it! Thanks for playing with the Players this week! Great card Tina. Thanks for playing along with us at WWYS. What a great card! I love the colors and details!